Honey bees are making a beeline for disposed paper cups instead of flowers, and it’s killing them, a study has found. The researchers said that the number of used plastic cups in these bars ranges from about 160 to 7,000 – an average of about 1,225 cups a day. The researchers also said they recorded the death of 25,211 bees in coffee bars over 30 days. The mean death rate varies with the depth of the garbage bin with cups, quantity of residual beverages, location of the sampled bars and visiting time. Maximum mortality ( 23% ) was recorded between 10 am and 2 pm in the cups with 3ml – 6ml beverage remains found at a depth of 20cm – 40cm in garbage bins. Later, the cups were sent to recycling yard, where about 680 bees a day were killed manually to escape stinging. The observation also revealed that that bees need large quantities ( 300 cups ) of sugar-coated cups and longer duration ( 120 days – 150 days ) of display to select new coffee bars as foraging sites. But once visited, they were regular. It was said that the killing of bees in such a manner has been reported in many countries, including India, but there is limited scientific data. There are about 1.3 billion and 800 million cups of coffee and tea consumed daily around the world by using millions of disposable cups. The bees neglect visiting flowers and are attracted by the residual sugar in the cups. This kind of foraging shift is common in honey bees, which enjoy short-term memory that acts as a fast adaptation to changing profitability of food sources. 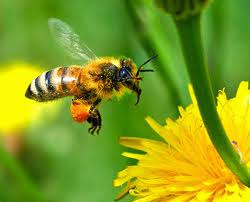 If we did not do anything about it soon, most of the bees are going to perish creating a huge imbalance in the eco-system.